How do I know if my child is eligible for NDIS? From October 2016, students in receipt of these programs/supports can access the NDIS if they meet the age, residency and disability requirements. If your child meets the disability requirements and you live in NEMA which is the following Local Government Areas outlined below, your child may be able to access the scheme. When will parents be contacted? From late September 2016 the NDIA will phone you or send you a letter to begin the initial paperwork. What do I need to do after the NDIA contacts me? As the NDIS may fund supports and services in addition to what your child is currently receiving at school we encourage you to respond to the NDIA as soon as they get in touch. It is important to note the NDIS does not fund supports that relate to your child’s learning. These will still be the responsibility of schools and the education system. If your child is eligible for the NDIS, you will be asked to work with the NDIA to develop a plan which will identify the services and support best suited to your child. Your child will be assessed for need and may be eligible for a range of supports. For now, your child’s bus to school and support for personal care needs at school will continue to be delivered in the same way. If there are changes to arrangements in the future these will be gradual and we will talk to you first. For now there is no change. What if my child isn’t receiving personal care or transport? If you live in NEMA and your child is not currently receiving these services through the Victorian Government, and you believe they might be eligible for the NDIS, we encourage you to approach the NDIA to be assessed. You can contact the NDIA on 1800 800 110. What if I don’t live in NEMA? The NDIS is transitioning across Victoria, Local Government Area by Local Government Area from 1 July 2016 to 30 June 2019. To see when the Local Government Area you live in is scheduled to transition, please refer to the website: https://myplace.ndis.gov.au/ndisstorefront/about-us/our-sites/vic.1.html. Closer to the Area rollout more information will become available. That was the challenging question that a mix of year 9/10 students were asked on Friday, 27th May when the Human Rights Commission of Victoria came to film a group of Fitzroy High students for a project on ‘Understanding Human Rights’. Unfazed and brave when faced with the camera lens, the students did a fantastic job of responding to this question. “The right to be who you want”, ‘The right to do what you want as long as it doesn’t hurt anyone” and “The right to love who you want” were just some of the thoughtful responses. The feedback from the Commission was very positive and the students had a great time. Well done and thank you to the following students for getting involved. We’ll be seeing these students on You Tube soon…..
Fitzroy High School is very pleased to announce that school has been awarded the People’s Choice Award for Sustainability in the City of Yarra, competing with other local businesses, schools and organisations. Fitzroy High was recognised for the work we have achieved for environmental sustainability. This award specifically goes to the Native Garden Project out the front of the school that the VCAL students completed over the past three years. Students worked together to formulate the design, develop their ideas and construct the native garden, garden beds and seating area. This project has been one of the foundational elements to the school’s commitment toward sustainability and we are very pleased to be recognised. Thanks again to everyone who voted for us, we really appreciate your support. Fitzroy High School is participating in the Alannah and Madeline Foundation’s National eSmart Week, 5 – 9 September 2016, along with hundreds of other schools and libraries to show their commitment to cyber safety, well-being and digital inclusion. FHS has enthusiastically accepted the challenge, participating in a range of activities, including to demonstrate their commitment to teaching online safety and wellbeing in their community. More than 550 Australian communities took part in last year’s inaugural event and numbers are only expected to increase in 2016. The Alannah and Madeline Foundation CEO, Lesley Podesta, said last year’s National eSmart Week initiative proved how important it was to Australian communities to protect young people online. Ms Podesta announced that Foundation programs such as the eSmart Digital Licence were pivotal in educating people of all ages about cyber safety. “The internet is a great place to learn, be creative and stay connected, but with one in seven Australians children suffering from cyber bullying each year, it’s important that we invest in giving our communities the skills they need to be responsible and safe online. “The best way to educate Australians about cyber safety is through our children, ’’ Ms Podesta noted. “We now know that National eSmart Week gives us the chance to promote important themes and messages by running engaging activities for young Australians.” National eSmart Week is an initiative developed by the Alannah and Madeline Foundation, in partnership with Telstra Foundation. For our senior VCAL project we have proposed to create a space in the school for students to record music. 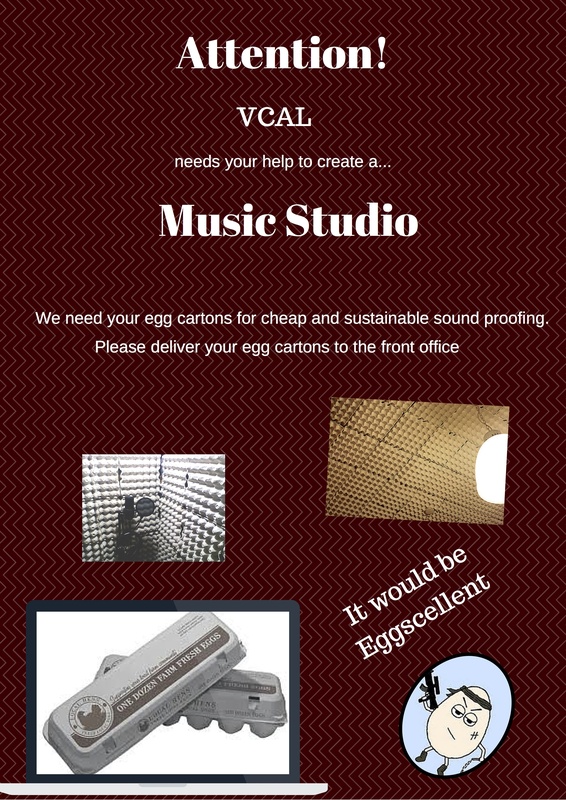 We will need egg cartons to use as an inexpensive and sustainable source of “sound proofing”, if you could save up and or gather your empty egg cartons and bring them to the school office it would be really appreciated. School Council Minutes 2016 are available on Compass. Compass – Community – School Documentation – School Council 2016. 100% of our Year 12 students (VCE and VCAL) applying for tertiary places received an offer in the first round. 26% of applicants received offers in the Creative Arts area of study, which includes: Animation and Interactive Media, Audio Production, Creative Industries, Fashion Design, Film and Television, Fine Arts, and Product Design. For the eighth year in a row, we have had a student accepted in to the Victorian College of the Arts (VCA), now part of the University of Melbourne. Emily E will be the fourth Fitzroy High School student to study Fine Arts (Visual Art.) 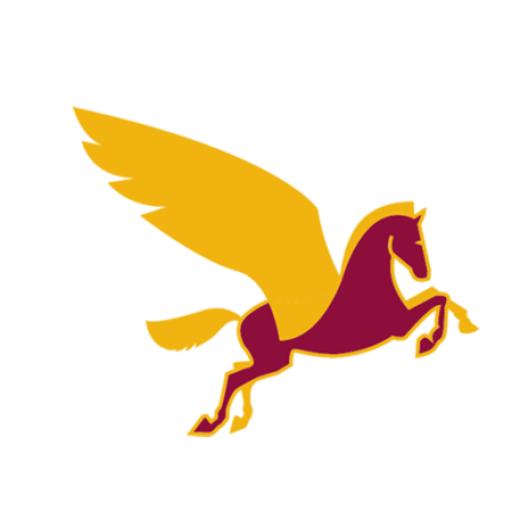 Other former Fitzroy High School students have gone on to VCA to study Fine Arts (Music) and Fine Arts (Animation). An equal 26% of applicants received offers in the Society and Culture area of study, which includes: Arts and Psychology. 10% of applicants received offers to study Arts at the University of Melbourne. 17% of applicants received offers in the Health area of study. Vic G is our third student going to Paramedicine at ACU. Woody, our first, has graduated and is now working as a paramedic in London. 12% of applicants have been made offers in Engineering and related Technologies. Another 12% of applicants have been made offers in the area of Management and Commerce. Our dux, Lucas G, has been made an offer for Business/Banking and Finance at Monash University. 7% of applicants were made offers for honours courses, and 7% were made offers for double degrees. Continuing with trends over past years, the most popular tertiary destination for our students was RMIT. This year La Trobe and Victoria universities were equal second, then ACU, Swinburne and the University of Melbourne as equal third destinations. Our first group of senior VCAL students received offers for tertiary courses including Business, Computer Systems Technology, Fashion Design and Sport Development (Soccer). 85% of all Year 12 students applied for tertiary courses and all were successful in being made an offer. 12% of students have moved straight into the workforce, with 1 student in the process of applying for the ADF and another being offered a full time apprenticeship in fine furniture making. There are still more rounds of tertiary offers to come, and students still need to decide whether to accept or defer their offers. We wish all of our former Year 12 students well in this process. All students at Fitzroy High School are invited to come along to the ‘Environment Group’ that meets every Monday at recess in A118. The group has been formed in order to help make student ideas about improving sustainability at Fitzroy come to fruition. Others may simply want to raise awareness about environmental issues that concern them. This group is for anyone who is interested in doing more to take action about environmental issues.